Mâchouille teething toys can be used as a teething toy or as a sensory tool. They are made of non-toxic, BPA-free, phthalate-free, cadmium free, lead-free, mercury-free and other heavy metals-grade silicone. 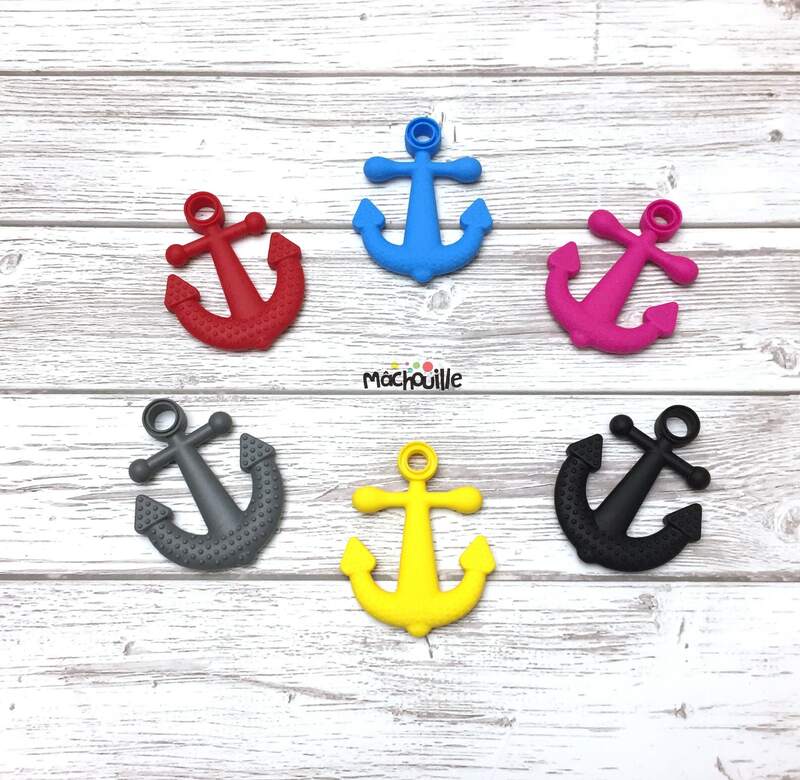 You can order a polyester cord of about 75 centimeters, black, white or any other color and a safe black, white, gold or silver clasp with your toy. 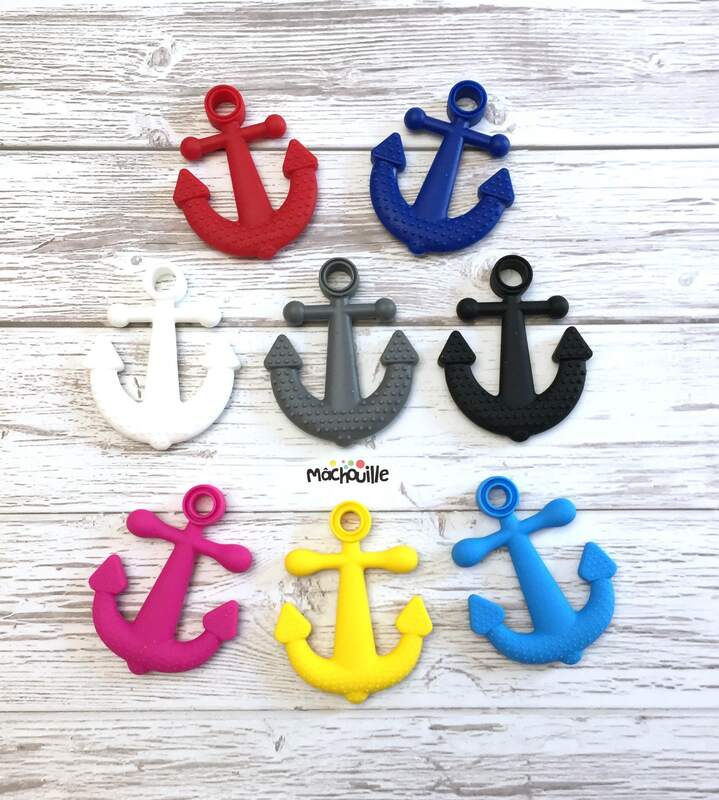 If you order the teething toy with a rope, please mention the color of the desired clasp when ordering, otherwise the one sent to you will be randomly black or white. Contact us if you want a cord of another color or longer than 75 cm. -Hand clean with SOAP and water. Rinse thoroughly and air dry. Go to the dishwasher, too. -No child under 3 years of age should wear a pendant teething toy. -The use or wearing of the teething toy by children should always be done under the supervision of an adult. -The clasp of the pendant is safe. It opens without breaking if too much tension is exerted. Do not nibble the clasp so that it retains its safe function. -Check the condition of the teething toy, the rope and the clasp before each use and stop using it if you notice any breakage or alteration.